Update: uninstalled and reinstalled. Working for now Used to work great. Now if it opens I only get San Diego tides (La Jolla). I don’t live there so that useless.... My saved locations disappear or won’t work. Lately I just get a black screen and a crash. No longer works for me. ...wish the graphical tide chart didn't snap to daytime hours. Night tides are equally important. 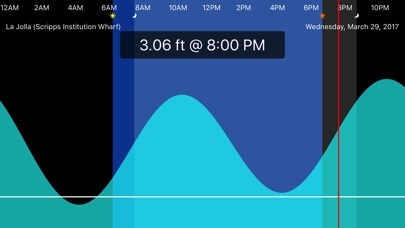 This app's major shortcoming is only being able to view tides 15 days out. Otherwise the tide graph is well implemented. But with such limited functionality, the 15 day limit is inexcusable. I’ve been using and suggesting this app to friends for years. Simple, intuitive, and reliable until recently. I bought an Apple Watch and for some reason I can no longer get the app on the watch to work. #bummed. I hope there’s a solution. Buy this App! It's really good. I have been using the free version for years. It's easy to read interface is its strength. Portrait mode is powerful for visualizing the in between tidal states. At some surf spots a foot of tide can change the game! Pay it forward and buy the $.99 upgrade! Rest on your laurels, get replaced. ShralpTide2 was my go-to app for tides, but the bugs just kept coming. It could never seem to identify my location, it never could seem to remember my favorite locations, and it never got an update that actually gave you the real time of the tide - just expected us to approximate on the graph. Still, it was the best one out there. Well, they rested too long on their laurels. There’s a new app in town that does everything ShralpTide2 does and more (moon phases, weather, current location maps, awesome Apple Watch integration), and more effectively. I won’t name it - I’m not here to promote it, but to review ShralpTide2… which should have fixed issues and included more data long ago. Older review: ShralpTide was my go-to for heading out to the beach. Nice, tidy little app that did what it says. ShralpTide2 came out and… we'll, you can see my original review below. I don't know what the developer did behind the scenes since the first release, but this now meets and exceeds the previous edition. It's quick and responsive, the features work as you'd expect, the graphics are clean and attractive and they've improved the data on the front page. It's back to being my go-to for quick reference tide info! What's more - the developer read my previous review, made the needed fixes, and replied to me directly that they'd appreciate it if I took another look. I wouldn't have ever looked at again without that personal touch. 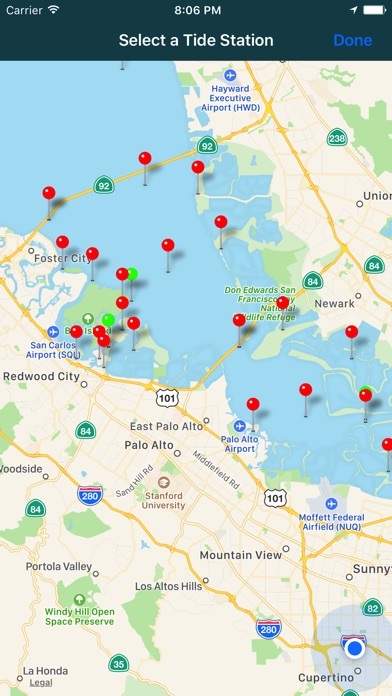 Oldest review: Former title: Bugs & no default Nearby tide stations: it does a good job finding where you are and then identifying tide stations near you. 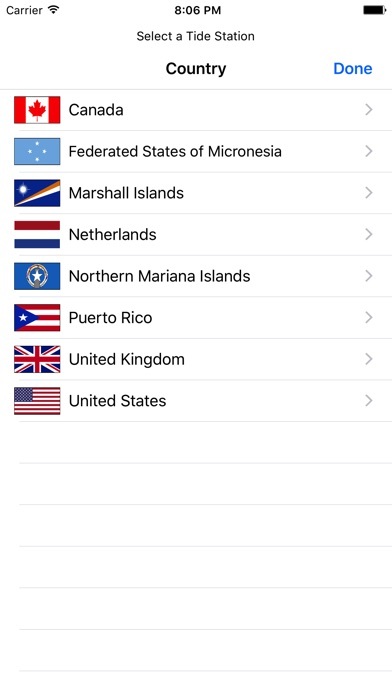 You can't select them or even find out what they're called, but it it does display them on the map. Once you do set the station, it forgets it next time you open it. Those are core features. As a pair of broken features, they make this app worthless. I went to the developer's website to suggest they add day and night display to the original app. I found they have this 99 cent app that has this feature. Now I can plan when to run on the beach at low tide! You should advertise the new app on the basic app. Feature suggestion: I'd love to add low tide daylight times to my Calendar to plan beach runs. I'm confused why I bought this for 99c when there is little to no difference to the free app that I love and have been using for a while. Only real difference I see is color change and sunrise/set which is pretty useless as it does not really give you exact sunrise/set details. Hope there are some major improvements and updates to beef up this app and make is really worth the purchase! The new upgrade will not let you keep your tide station if you close the app!! It will default to another station! I liked it the way it was!! 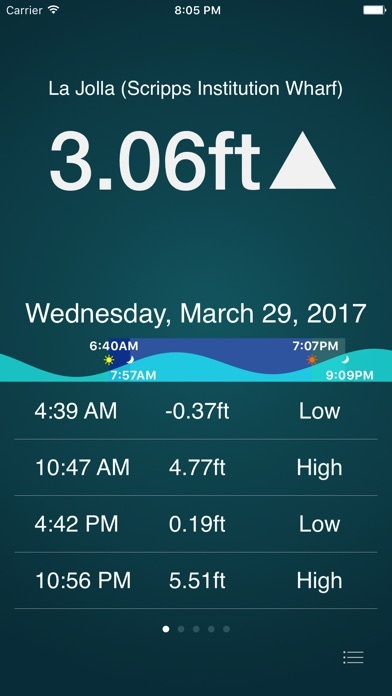 As a surfer, I think this is the best tide app out there. When I lost access to it when I upgraded my phone, it was a struggle not being able to use it. The landscape mode interactive graph is what makes it special. It makes it easy to find those target tide windows that make surf spots turn on and off, and know exactly when you want to be there. I'm traveling in Nova Scotia. The original Sharlp had at least seven or eight TIMES as many tidal stations to choose from. This one has 5 tidal stations in Nova Scotia, while the original has 38! Same for the other provinces. There are some improvements that I really like, such as being able to view tides more than five days out. The sun and moon symbols are also handy for planning night time kayak outings and low tide paddles in the morning and evening. If they add all of the Canadian tidal stations that they removed back onto the app, I'll up my rating to five stars. Luckily I still have my original Shralp app, which I have been using very happily for years, so I still have those tidal stations in the palm of my hand. Not happy with the new update!! I loved your old app, this update took away a lot of information. The arrow is lame, too skinny. I miss the moon rise/set and sun rise/set. It's not as robust to look at. How do you eliminate a tide location? How do you eliminate the default tide location, i.e. La Jolla? Please update to work with the new watch 4 faces. Your complication does not show up. Yours is the best tide app. This is the only app I’ve found that shows the current tide height in feet on the small Apple Watch complication. Awesome for boaters. The only thing that would make it even better is if the small Apple Watch complication had the current height and the time of the next tide as well. Still great. Latest update makes a useful app less so: fewer features, more cumbersome to navigate. Please revert to last version. I used the old (free) version for years but the new (paid) version doesn’t work down-under anymore :-( Please put this on your TODO list.